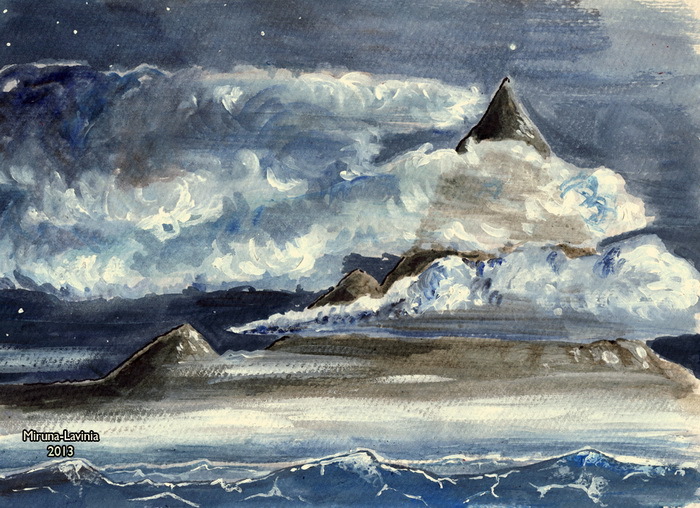 Tolkien’s works are of course delightful in and of themselves, yet they have inspired countless artists to create their own visual interpretations of his works. On that note, I’ll be choosing a Tolkien Artist of the Month going forward and devoting a post to that particular artist’s work. My first Tolkien Artist of the Month is Evan Palmer. Evan made an Ainulindalë graphic novella. It’s absolutely incredible. This post continues my chapter-by-chapter walkthrough of The Silmarillion. This time, we will take a look at the first chapter of The Silmarillion proper, “Of the Beginning of Days.” You can see a list of all of the posts in this series by clicking here. These days, there’s a lot of emphasis in Catholic circles on the importance of beauty in evangelism. I’m a big fan of this notion. Beauty has played a massive role in my faith from the time I was only a child. The Lion, the Witch, and the Wardrobe basically led me to make my first profession of faith in Christ. However, I’m concerned that with it being repeated so often, the notion of the beautiful and its role in evangelization is in danger of becoming a cliché, a trite little saying that makes us all feel a little better but doesn’t really do anything for us. That would be tragic, because nothing else can fulfill the human desire for beauty like the Catholic Church. The bottom-line is, Catholics, wherever they are, can and should lead the charge of cultural renaissance and aim to effect every human being. 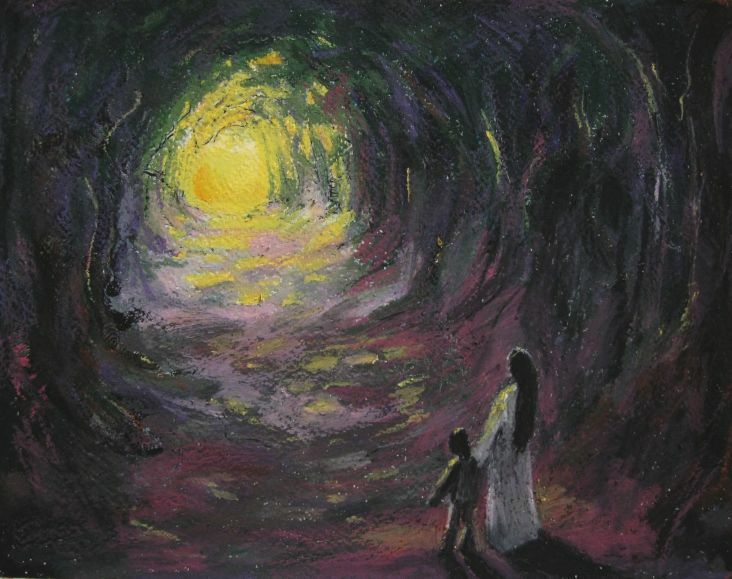 This is where Tolkien’s creativity and spirituality meet – in his eschatological vision. For those unfamiliar with eschatology, it’s basically the study of the end, final purpose, and fulfillment of all things. Tolkien’s most blatantly eschatological work is the short-story “Leaf By Niggle.” I’ll be covering it here soon enough, but if you’ve never read it, you need to. It can be found in Tree and Leaf or The Tolkien Reader. A lot of overlap with Romans 8 here, especially the latter half of that chapter. I’m not sure if this was part of Tolkien’s original speech in 1939, but I have to imagine that if it was, it left a lot of folks feeling like Tolkien was nuts. “Wait – you think stories are actually going to come TRUE?” I don’t think Tolkien really cared though. He just kept at it, and wrote the best-selling book of the 20th century. The key is of course “as like and unlike the forms that we give them.” No one can really say how, any more than one can say how that thing that looks like bread is really the body, blood, soul, and divinity of Christ. Perhaps that was one reason Tolkien was such a passionate devotee of the Eucharist. 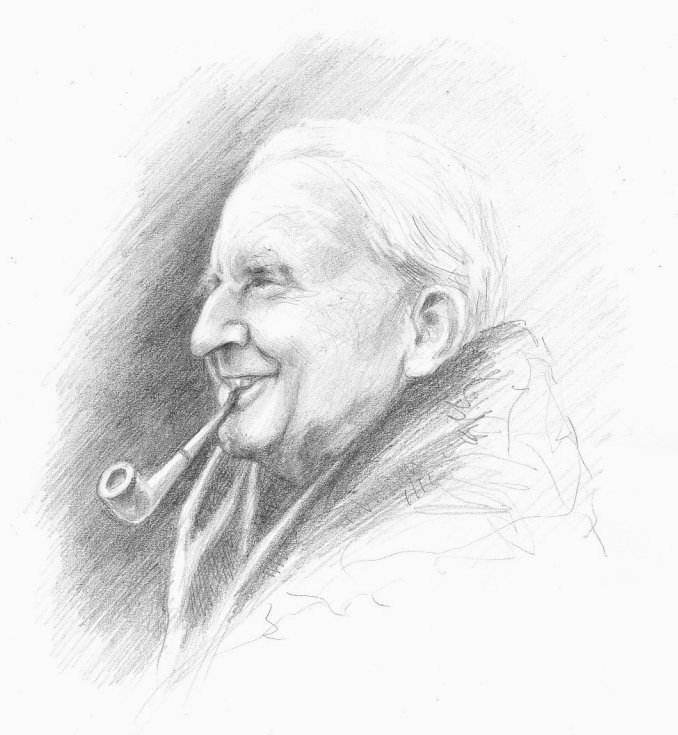 One can see why Tolkien was so passionate about creating – he believed in its eternal value. Please feel free to leave your thoughts and questions on this post in the comments below. If you really want to understand Tolkien’s aesthetic, perhaps the most central and explicit work to that end is his 1938 essay On Fairy-Stories. If you’ve ever tried to read On Fairy-Stories however, you know that it’s not the most straightforward read. Therefore, I’ve sought to provide an outline of On Fairy-Stories, and to provide some helpful notes as to Tolkien’s central argument. When I sat down to write my thesis for my Master’s degree, I knew I wanted to write about Tolkien’s literary aesthetic, but I didn’t exactly know where to start. Thankfully, I already had a copy of Tree and Leaf, and from what I could tell, the place to start was Tolkien’s essay On Fairy-Stories. On Fairy-Stories came to play a huge part in my thesis. It’s where Tolkien really started to lay everything out. Here’s a guide to it that corresponds to the six parts of the essay in Tree and Leaf.